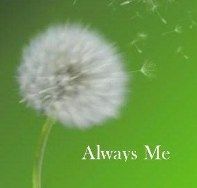 It was fun going down memory lane and rediscovering the first ten books I reviewed here on my book blog. I had a very different review writing style my first year of blogging than I do now, which goes to show how we all evolve as bloggers. 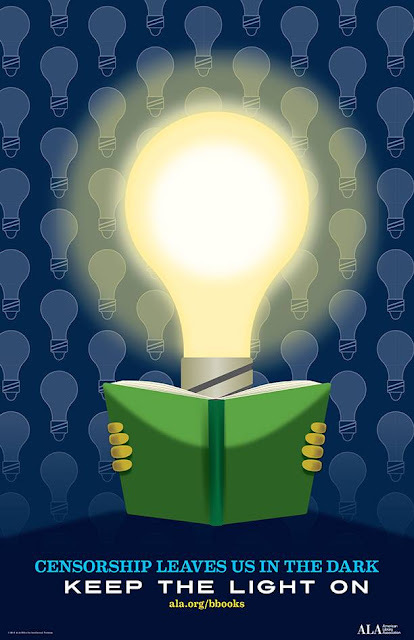 Below is my list of ten books I reviewed when I first started blogging on January 1, 2012. Click on the links below to read my review of each book. San Francisco, California this morning. set within an urban garden type of setting. I've been wanting to read a novel by Chris Grabenstein for a while now. 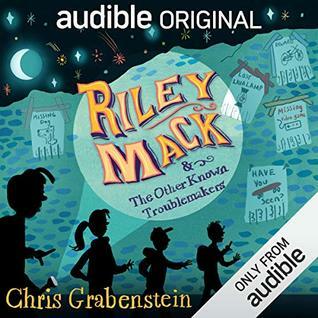 I finally ended up listening to the unabridged audio production of Riley Mack and the Other Known Troublemakers by Chris Grabenstein and narrated by by a large cast of talented voice actors! As an Audible member, I was able to download Riley Mack and the Other Known Troublemakers by Chris Grabenstein to my Kindle Fire for FREE!! Below is my honest, unbiased review of Riley Mack and the Other Known Troublemakers by Chris Grabenstein. Overall I really liked Riley Mack and the Other Known Troublemakers by Chris Grabenstein!! This is a fun, fast paced children's novel (for ages 8-10) and is delightfully narrated by a cast of talented voice actors! The storyline and characters are a lot of fun. One of my favorite features is how the author highlights vocabulary words for children in the novel by having a few of the characters use words and then defining them in conversations with their peers. I would give Riley Mack and the Other Known Troublemakers by Chris Grabenstein a perfect rating, however I felt like there were a couple of stereotypes in the book that didn't sit well with me. I also noticed a couple of minor plot issues/blunders. Otherwise, Riley Mack and the Other Known Troublemakers by Chris Grabenstein was a great read. In this middle grade Audible Original that's full of both humor and heart, a madcap gang of bold kid crusaders set off on an unforgettable adventure to thwart wrongdoers in their neighborhood. This audio adventure features Neil Hellegers as The Narrator, Bryan Kennedy as Riley Mack, Edoardo Ballerini as Ben Markowitz, Lauren Fortgang as Briana Bloomfield, Josh Hurley as Mongo Montgomery, and Khaliah Adams as Jamal Wilson, Suzanne Toren as Grandma, Nick Sullivan as Sheriff Brown, Eric Yves Garcia as Gavin, Colonel Mack and the FBI Agent, Kevin Pariseau as Chuck "Call Me Chip" Weitzel, Eliza Foss as Rada Rollison, Jennifer Van Dyck as Mrs. Montgomery, Ann Osmand as Moonbeam and Dawn Barclay, Allyson Johnson as Diane, Brian Sutherland as Otto, Kevin T. Collins as Fred and Nick, Chris Ciulla as Mr. Karpinski and Roger Rollison, Allison Hiroto as Jenny, Charlie Thurston as Andrew, L.J. Ganser as Special Agent Chavez, and Besty Hogg as Emma. And if you listen closely, you'll catch a very special appearance from author Chris Grabenstein as the Casino Card Dealer and his wife, J.J. Meyers, who lends her voice to Madeira Mack. I am giving Riley Mack and the Other Known Troublemakers by Chris Grabenstein a rating of 4 stars out of 5 stars. I've been happily married to a Filipino-American now for 17 years... But we've been romantically involved for 24 years continuous years. Because of this, I've become more interested in learning about Filipino-American culture, history, and heritage over the years. So below are a few of my favorite contemporary Filipinx American critics and historians from whom I, too, have gained a valuable education about the wonders and terrors of American statecraft and its rippling effects around the world, particularly the country my parents immigrated to California from—in the hopes that by expanding the list of people from whom we learn our history, we can also expand the list of people from whom we experience our art. All 7 books sound like amazing ones to read. I will be adding them to my ever growing reading wishlist! This afternoon, I finished listening to the unabridged audio version of Carry On by Rainbow Rowell and narrated by Euan Morton from Audible. Listening time for Carry On by Rainbow Rowell is 13 hours, 38 minutes. Carry On by Rainbow Rowell is the third novel I've listened to by the author. Rainbow Rowell has been a very hyped author over the past few years. Curious about her novels, I jumped on the bandwagon and have listened to Landline, Fangirl, and now Carry On. I can now say with a fair amount of confidence that I'm not a HUGE fan of Rainbow Rowell's writing. Sure, I've found the three novels I've read by her to be likable, but I'm sure I won't remember much from any of her novels over time. At this point in time, I will pass on reading any other novels written by Rainbow Rowell. As far Carry On goes, I found it to be likable. The characters and the storyline for Carry On were kinda slow and flat for for me at the start of this novel and didn't pick up until about halfway into it. Then things quickly picked up and I actually looked forward to discovering how Carry On came to a close. The epilogue for Carry On was my favorite part of the novel. I thought Carry On was well narrated by Euan Morton though. I look forward to discovering other novels he narrates. Half the time Simon can't even make his wand work, and the other half he starts something on fire. His mentor's avoiding him, his girlfriend broke up with him, and there's a magic-eating monster running around wearing Simon's face. Baz would be having a field day with all this if he were here - it's their last year at the Watford School of Magicks, and Simon's infuriating nemesis didn't even bother to show up. Carry On is a ghost story, a love story, and a mystery. It has just as much kissing and talking as you'd expect from a Rainbow Rowell story - but far, far more monsters. 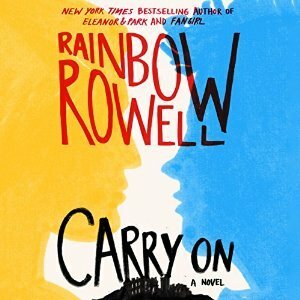 I am giving Carry On by Rainbow Rowell a rating of 3 stars out of 5 stars. I love ballet!! I enjoy seeing ballet performed, even if I don't see it performed as often as I would like to. I'd always wanted to attend an American Ballet Theatre (ABT) performance, which became a dream come true for me in 2012 when my husband and l saw them perform at the Segerstrom Center for the Arts in Costa Mesa, Califorinia. It was during this performance that I saw Misty Copeland perform as a soloist. In 2015, Misty Copeland become the first African American Principal Ballerina in ABT's history. When Misty Copeland's memoir, Life In Motion: An Unlikely Ballerina, was published in March 2014, I knew I definitely had to read her memoir. This year, I finally read Life In Motion: An Unlikely Ballerina by Misty Copeland. I had known some of the major bullet points of Misty Copeland's life, but her memoir filled in the gaps regarding the details of her life that I didn't know previously. Ms. Copeland demonstrates perseverance over adversity, dedication, poise, and grace through both good and bad times throughout her life. In her memoir, Ms. Copeland outlines her home life growing up, school life, her ballet career from age 13 onward (including injuries, dealing with racism within the professional world of ballet, finding mentors, and eventually finding her groove/confidence within the professional world of ballet), and her personal life and professional adventures outside of ABT. Below is a YouTube video of Misty Copeland talking about her memoir. 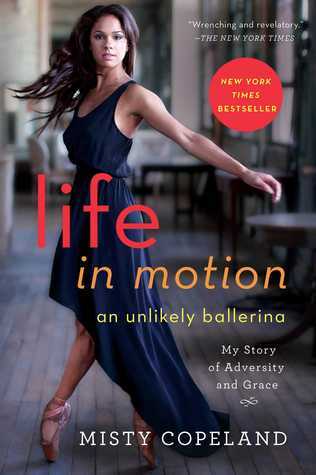 I really enjoyed reading Life In Motion: An Unlikely Ballerina by Misty Copeland and am giving it a rating of 4 stars out of 5 stars. The Stanley Mosk Library & Courts Building is part of the California State Library system. It's located in downtown Sacramento, California directly across the street from the Sacramento State Capitol Building. 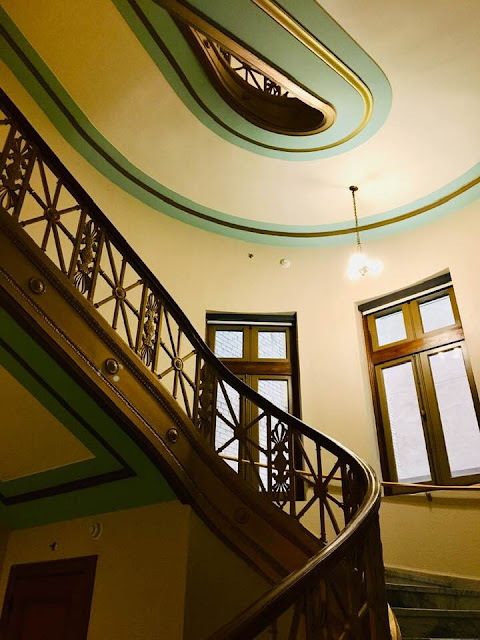 My husband and I took the self guided tour of the Stanley Mosk Library & Courts Building during National Library Week... And I must say that the Stanley Mosk Library & Courts Building is a must see building for its rich history!! 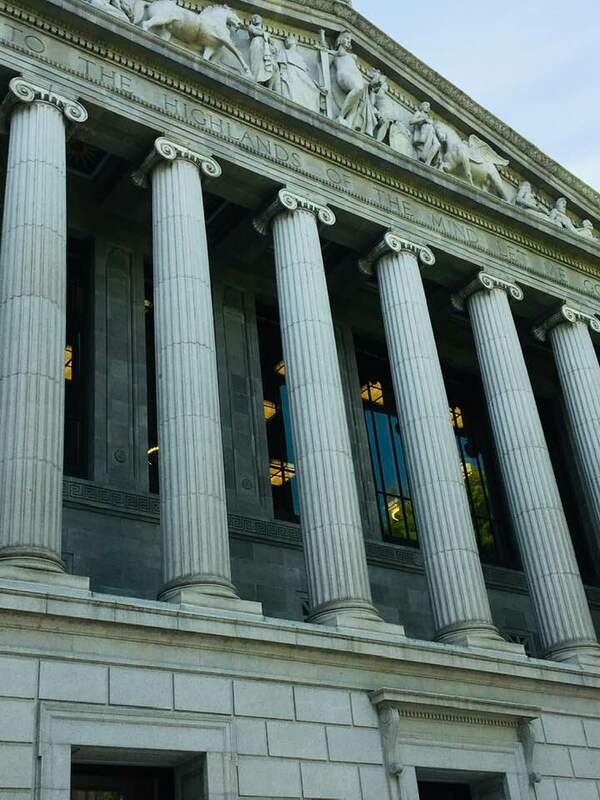 If you enjoy libraries, books, art, architecture, history, and learning more about the California court system, then this is the place to visit when you come to Sacramento. 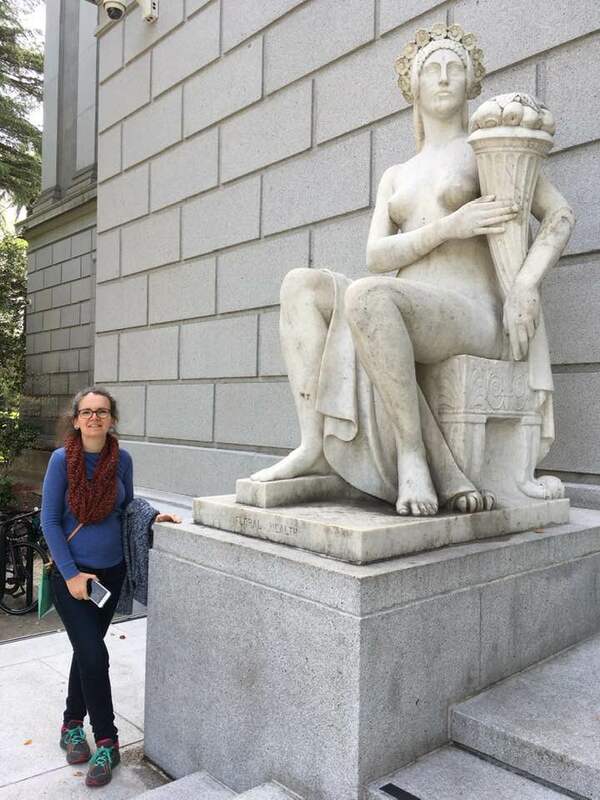 The above statues sit outside the entrance of the Stanley Mosk Library & Courts Building. Edward Field Sanford Jr. (1886-1951). The statues were carved from marble. I loved viewing the entrance vestibules for the Stanley Mosk Library & Courts Building. It's beautiful, very grand and regal. The memorial vestibule was dedicated to Californians who served in World War I.
San Francisco artist, Frank Van Sloun (1879-1938), painted "twelve oil-on-canvas murals depicting a chronological history of warfare from the Stone Age through World War I." These paintings can be viewed in this room. We enjoyed taking the Grand Stairway as we visited all five floors of the Stanley Mosk Library & Courts Building. Gillis Hall is named in honor of State Librarian, James L. Gillis. James L. Gillis served as State Librarian from 1899 to 1917. Gillis Hall serves as a reading room and is considered the general information point for the library itself. The mural painted on the wall of Gillis Hall is titled "A Pageant of Traditions". The mural was painted by California artist Maynard Dixon (1876-1946) and measures 69 x 14. Maynard Dixon also painted other murals in the Stanley Mosk Library & Courts Building which may be viewed in the second floor corridor. Close up view of the central figures of Maynard Dixon's mural in Gillis Hall. The female figure represents beauty and the male figure represents power according to the brochure we received. I also noticed that at the feet of the female figure one sees food, which I surmised may represent fertility or bounty. California is known for its agricultural economy, so this seems like an appropriate interpretation on my part. The male figure is surrounded by technology, which may indicate what man may achieve through hard work and diligence... This makes me think of Silicon Valley and other areas of commerce/technology within the State of California. I also noticed that the female figure is higher in elevation than that of the male figure, which makes me wonder if her gifts to humanity might be considered more meaningful/powerful/important than that of her male counterpart's gifts. I am only speculating what the artist was trying to convey in the above painting. It would be interesting to know whether I've interpreted correctly what Maynard Dixon was trying to impart. The Circulation room is also located on the third floor and is located directly across from Gillis Hall. We saw signage that a new exhibit was going into the Circulation Room. It would have been very interesting to have viewed the latest exhibit during our visit. 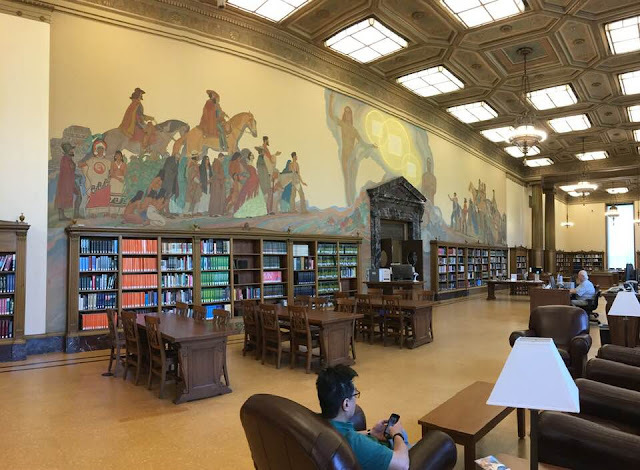 The Circulation Room is another gorgeous room to view at the Stanley Mosk Library and Courts Building. Love the elevator doors with their clathri motif! 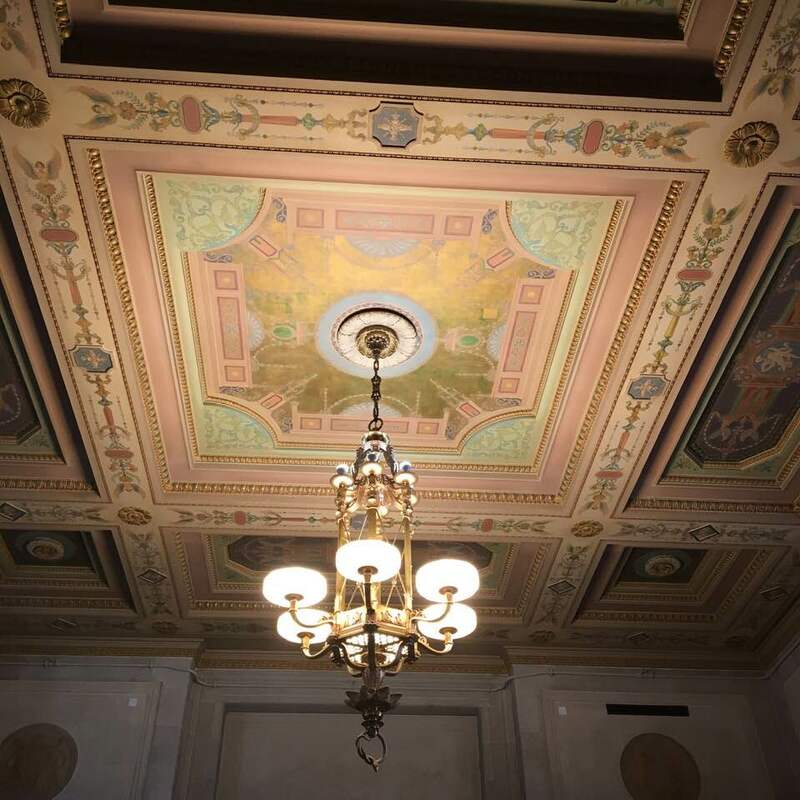 We didn't ride the elevators at the Stanley Mosk Library and Courts Building, but I hear they have beautifully paneled interiors. 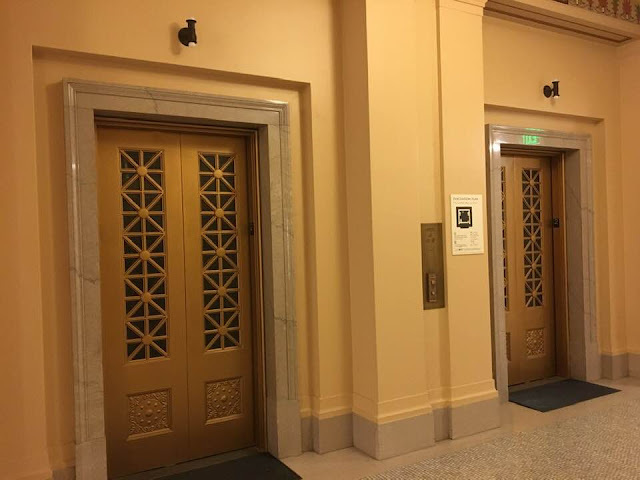 Back in the early days, I heard that the elevators were operated by vertical transportation engineers who provided directions and other information to visitors. Unfortunately, we missed seeing the The Court Room on the main floor as the doors were shut (maybe court was in session??). We also missed seeing the State Library Meeting Room on the fifth floor as a large group was holding a meeting during the lunch hour. So, we were disappointed in missing this beautiful room as well!! 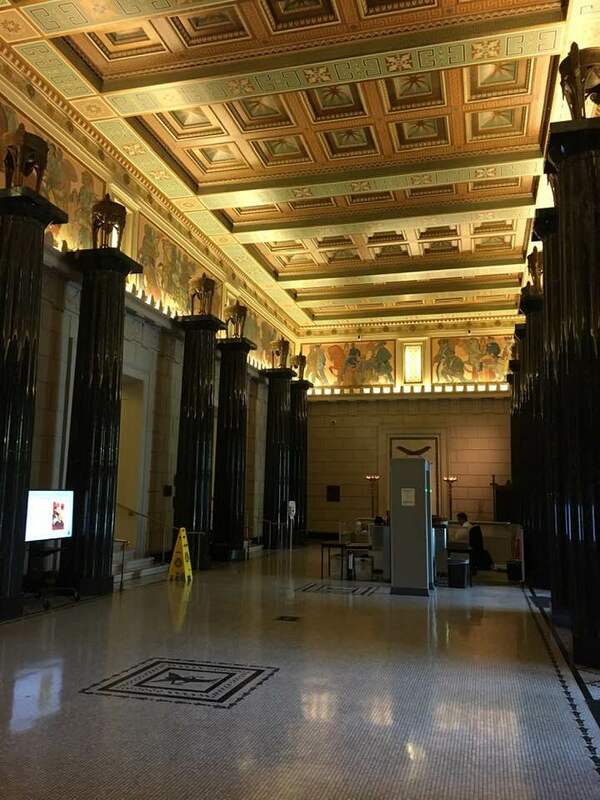 If you visit Sacramento, California, then I encourage you to visit the California State Library buildings... 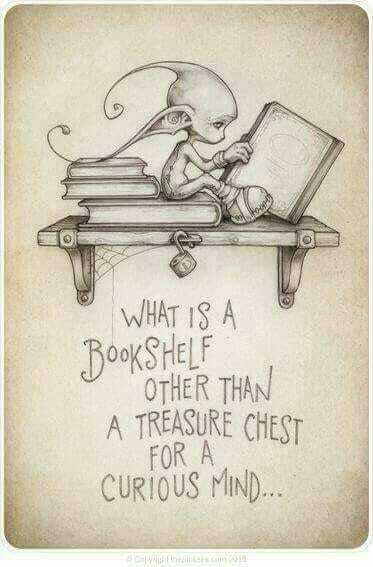 Especially if you are a library lover! 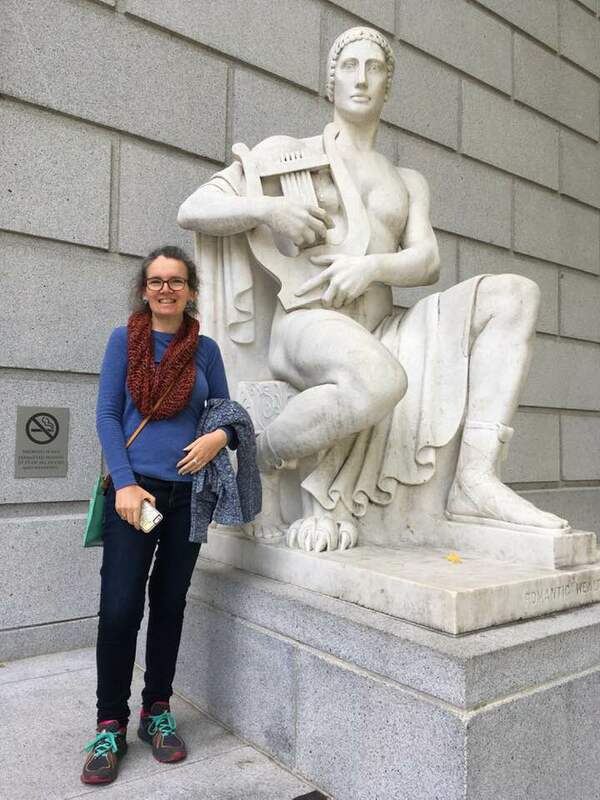 My husband and I also visited the Sacramento State Capitol and took the free docent guided tour (kudos to Isabelle, our docent, she gave an excellent guided tour) + walked the grounds. If you haven't visited the Sacramento State Capitol before, then you're in for a real treat! We visited the Sacramento State Capitol on the weekend and were surprised to have only eight people on our docent led tour. I thought there would be a larger group of people on our tour. here on my book blog. 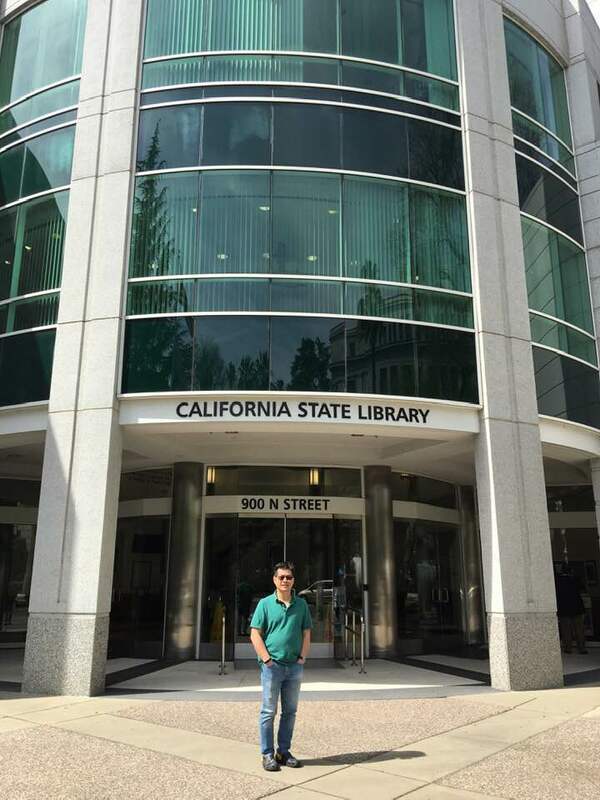 My hubby at the entrance to the California State Library in downtown Sacramento. 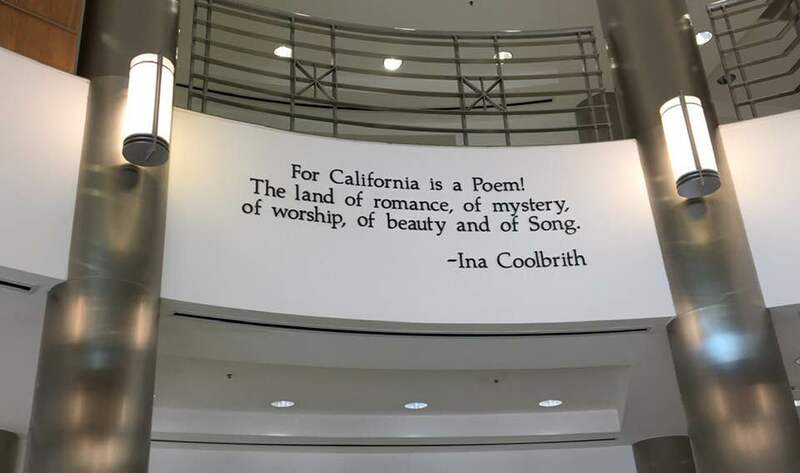 Quote inside the entrance of the California State Library. In honor of National Library Week, my husband and I spent a short amount of time (roughly 60 to 90 minutes) at the California State Library in downtown Sacramento across the street from the California State Capitol Building on our last day in Sacramento. 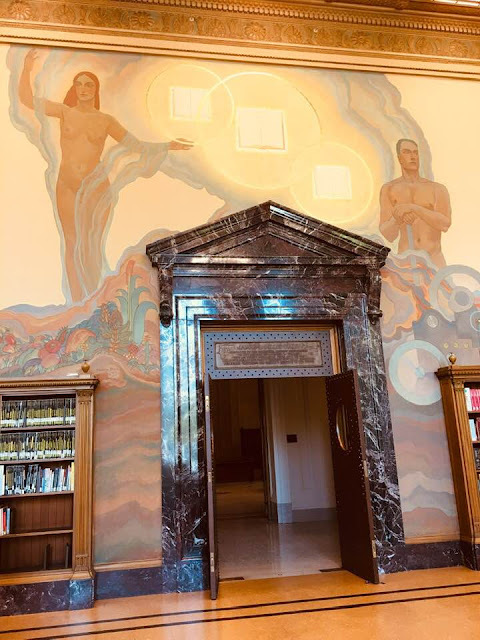 Established in 1850, the California State Library is the oldest continuously operated public library in the American West and is the central reference and research library for state government and the Legislature. The library collection includes more than 4 million titles, 6,000 maps, and 250,000 photographs. It has an extensive collection of documents from and about the state’s rich history and is one of the major genealogical reference libraries on the West Coast. It also holds significant collections from Mexico, the United Kingdom and Europe, with manuscripts dating back to the 13th and 14th centuries. The State Library is both a State and Federal Depository Library, providing free and open access to government information, and is a U.S. Patent and Trademark Resource Center. It is home to the Bernard E. Witkin State Law Library and the Braille and Talking Book Library. 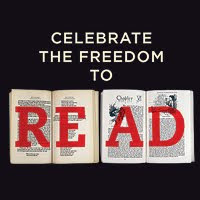 It also directs state and federal funds to support local public libraries and statewide library programs and services. During our brief visit to the California State Library, we spent the bulk of our time at the Stanley Mosk Library and Courts Building across the street from the above location partaking in the self-guided tour. I'll be making a separate post for our self-guided tour of the Stanley Mosk Library and Courts Building.